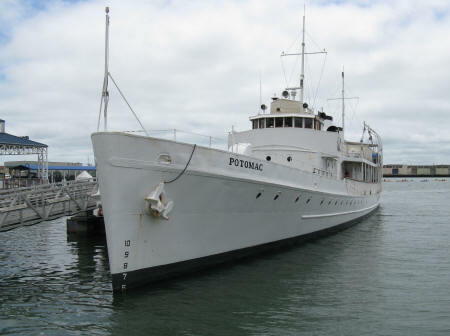 The USS Potomac was President Roosevelt's presidential yacht from 1936 until his death in 1945. The historic vessel is open to the public for visits. It is docked at Jack London Square near the Oakland Ferry Terminal.